After some diligent web research, I found this tutorial. 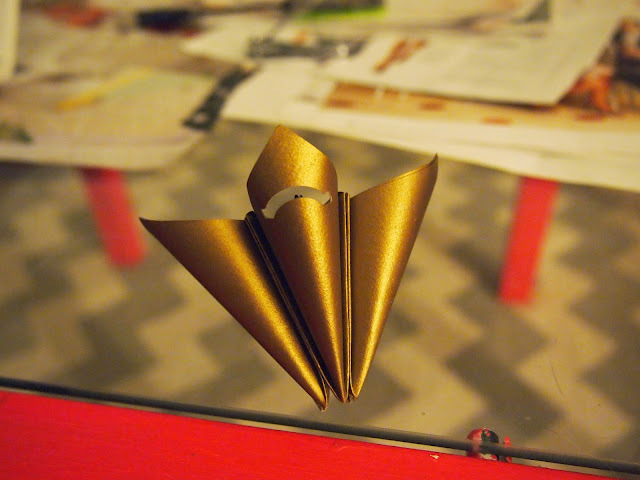 The tutorial seemed a little tricky, and Yunyi told me she's not very crafty, so I tested it out. I emailed her my trial and she liked it, so went paper shopping at Paper Source at Costa Mesa the next time we met up. That one is definitely the biggest and nicest Paper Source I've ever been to. We picked out coordinating paper colors, and bought paper based on size estimates. I am pretty sure we bought "chocolate" shimmer paper, but the white could have been any of the shimmery whites. Based on the size of an 8.5x11 paper, I think we cut the squares for the petals to be 3"x 3" using my handy ghetto mini paper cutter. 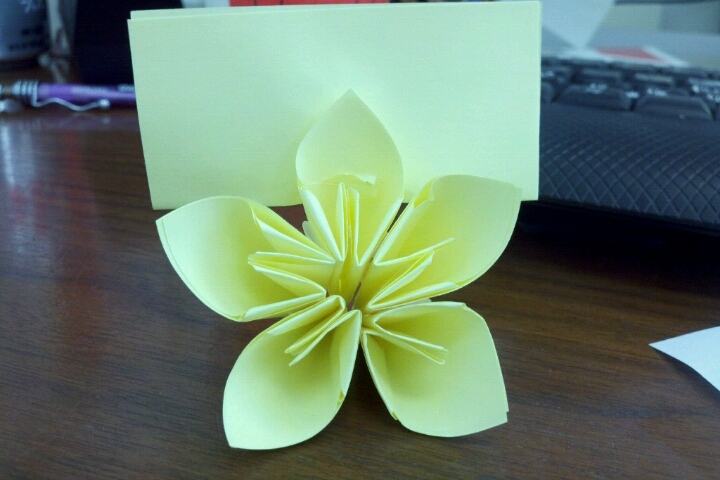 That took a million years since each flower needed 5 petals. 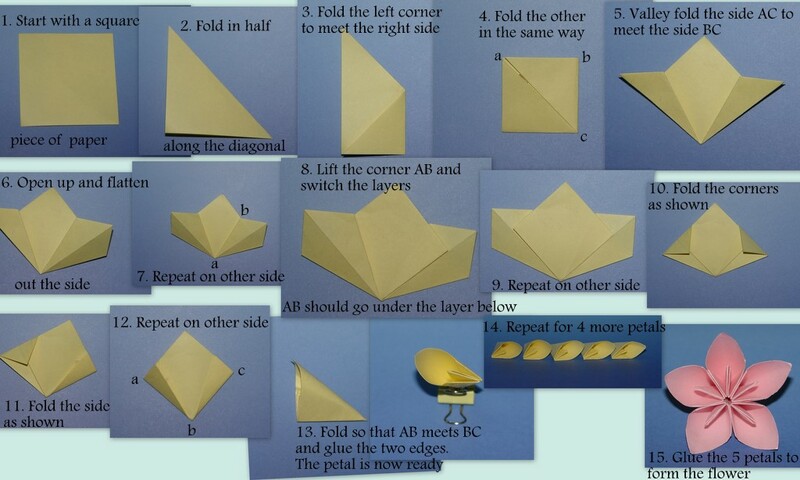 After showing her how to fold them, we sat there folding petals. We actually got a lot done for the first day. Yunyi and Sung spent the evenings of the next couple of weeks folding the petals and assembling the flowers. To assemble, using regular white glue, put petals together. Hold it together while it dries with bobby pins! 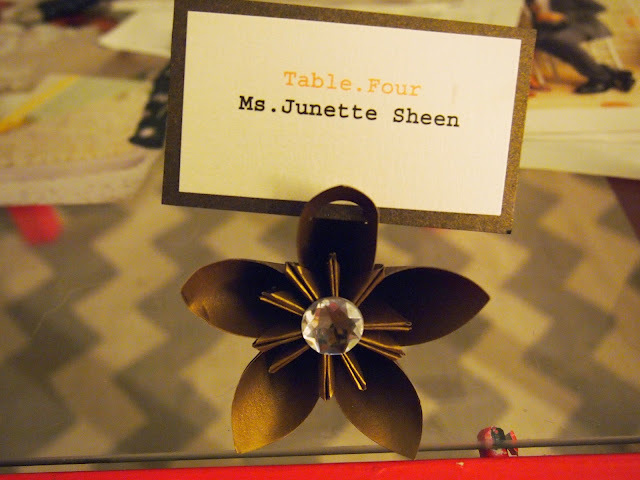 Then glue gun some bling in the center of the flower. To hold up the name cards, Yunyi bought a paper punch that created a bridge-like shape on. the back petal.